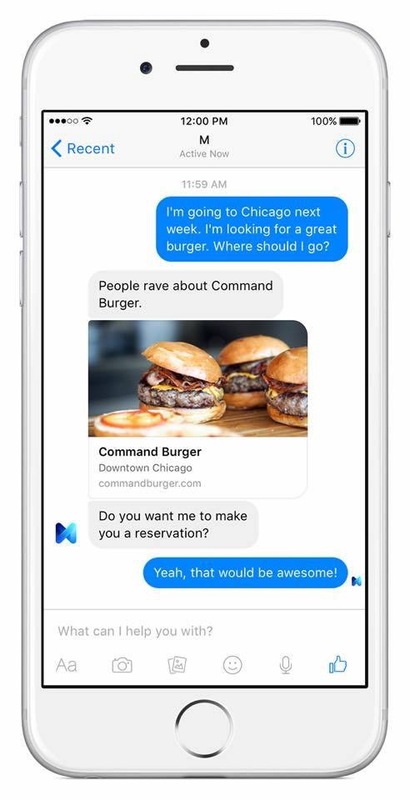 How can Facebook Messenger’s AI/human hybrid assistant M lend you a hand? Early data from Facebook’s testing shows people want help booking reservations, finding local businesses that could solve their problems, and buying stuff. Though the personal assistant feature is only open to a very small test group of users, this info reveals what people want from M and competitors like Magic and Operator. But it also shows how makers of these assistants might have to educate users on the breadth of what their services can do. Local search requests are the second most popular. Here, M assists people with finding local businesses, places, or services that solve their needs. Users might ask where they can buy, book an appointment for, or see something nearby, and M directs them. The third top request type is for purchasing assistance. 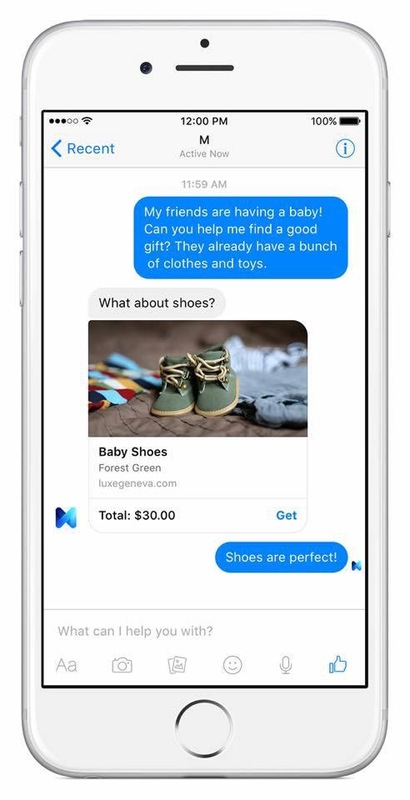 Rather than have to go to a store in person or deal with online payment flows, M could make purchases on someone’s behalf using the payment info they have on file with Facebook. This way a desire can turn into a delivered product with minimal effort on the user’s part. Other top request types include ordering flowers, getting food, arranging travel, finding upcoming weather reports, and being reminded of approaching appointments. Negotiating with cable companies to cancel service or obtain refunds or discounts without the user having to call the company. Handling toll violations for a rental car by getting M to work with the car company so they waive late fees and pay for the ticket. Getting a car towed and booking a last-minute hotel room after a user loses their keys. Receiving travel assistance and retrieving a lost item thanks to M communicating with locals who only speak a certain language. Planning a wedding by arranging vendors for makeup, flowers, programs and manicures. Booking a vacation by setting up flights, creating itineraries and planning activities. Assisting new parents with research on child care providers and completing random tasks. These are not things that SMS or any random chat app can do. And that’s why it matters to Facebook. Messaging is a hard place to differentiate. Every app handles texting and an ever-increasing list of other communication types like photos, audio clip sharing and video chat. But thanks to Facebook’s vast research and development resources, it may have found a way to make Messenger essential. And it starts with the letter M.